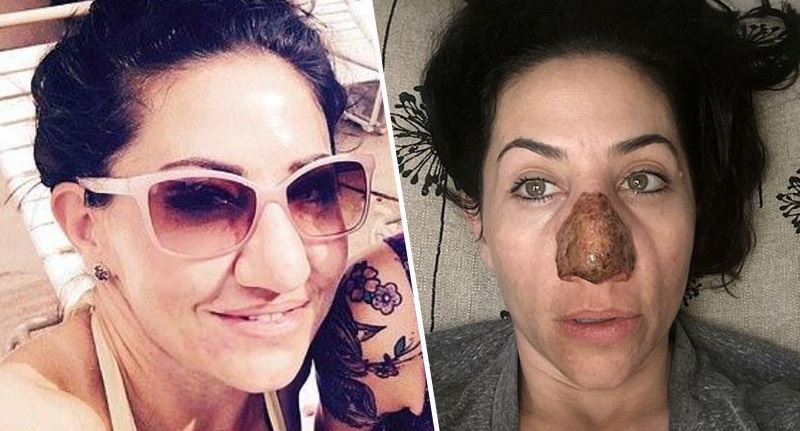 A woman became a recluse after her nose doubled in size, but she now has a social life again after having the bulbous skin burned off. In 2013 Adrianna Ely, from Texas, noticed the tip of her nose had started to turn red and bloated, but she struggled to get a diagnosis on what the issue was. 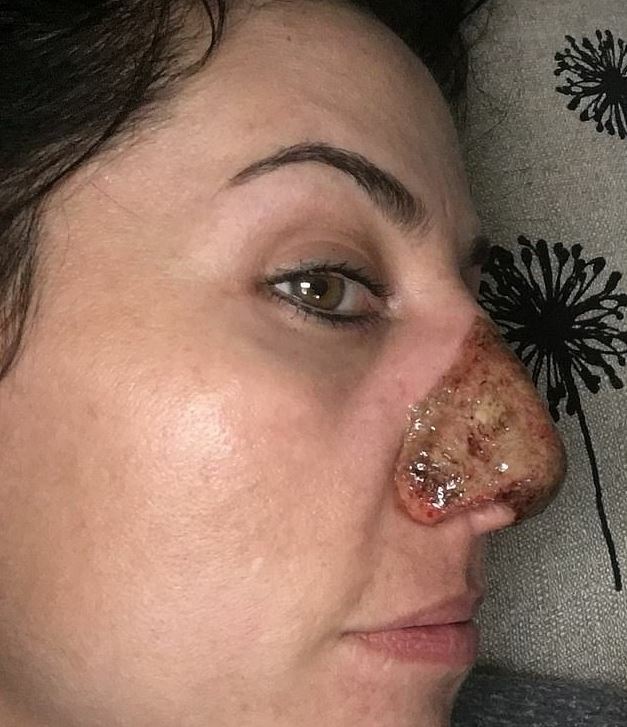 It continued to grow, and eventually became so swollen that the 39-year-old had to use her finger to hold her nostril open, allowing her to breathe comfortably. I started to notice significant changes in 2013. The tip of my nose began to thicken and bulge. Before this happened, my nose was so drastically different. It got to a point where it didn’t even feel like a nose anymore. It felt like a blob without structure. My nose was changing so much that I didn’t even recognise myself. I was really conscious and worried about it but it was difficult to get an official diagnosis. At night I started to struggle with breathing and I would put my finger under the tip of my nose just so I could hold my nostril open. The HR manager was so bothered by her bulbous nose that she began to avoid situations where she would meet new people, fearing they would stare. 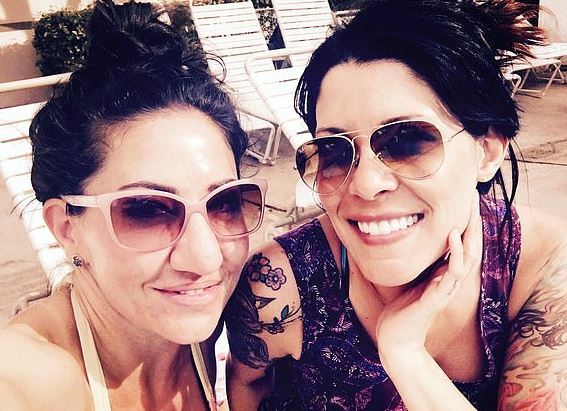 After suspecting the changes were linked to a rhinoplasty she’d had in 2008, Adrianna flew to California, where she was diagnosed with rhinophyma, a condition which causes the skin on the nose to morph and grow. I felt like that guy in the documentary Elephant Man. I felt like this growth was just taking over my whole face. The condition completely changed how I felt about myself. It made me a recluse. I avoided any situation where I might have to meet new people. No one I knew was ever unkind to me, but I worried about stares or having to meet new people who didn’t know my story. The 39-year-old said doctors offered little guidance about treatment of the condition, which rarely affects people under the age of 60. 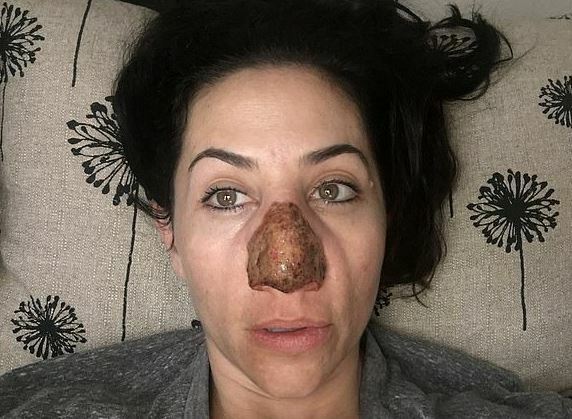 Adrianna struggled with her nose for a few years, and it wasn’t until she saw a segment about rhinophyma on TV in 2017 that she finally felt some hope. The HR worker approached Dr Daniel Friedmann, from Westlake Dermatology Clinical Research Center in Austin, Texas, who was able to devise a treatment plan that involved resurfacing Adrianna’s skin with a CO2 laser. In May 2017 she had the bulbous skin lasered off the surface of her nose, though the doctor had to remove even more than he’d expected to. The procedure took two hours because my doctor said he had to remove double the amount of skin he anticipated. It smelled awful, basically he burned my skin off with an aggressive laser. My doctor prepared me for how it would look when it was done but I when I took off my mask and looked in the mirror at home I was shocked. My skin was charred and oozing. It was black, green and raw. I had just put blind faith in someone to burn my skin off. I just prayed and prayed that it would grow back. 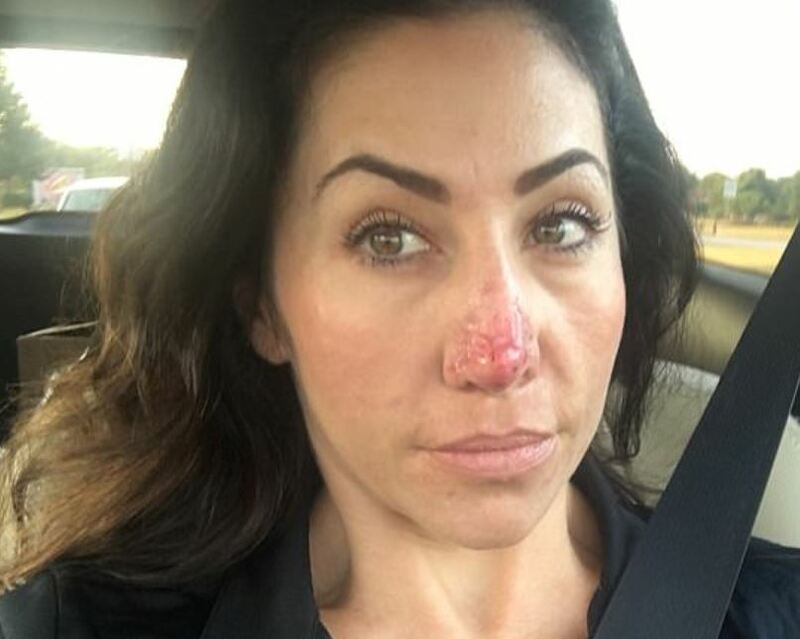 Adrianna quickly noticed a difference with her ease of breathing after the procedure, and she made weekly visits to the clinic to undergo laser resurfacing treatments, which have reshaped her nose and helped regulate pigment. She also had fillers to help add definition and shape to her nose. 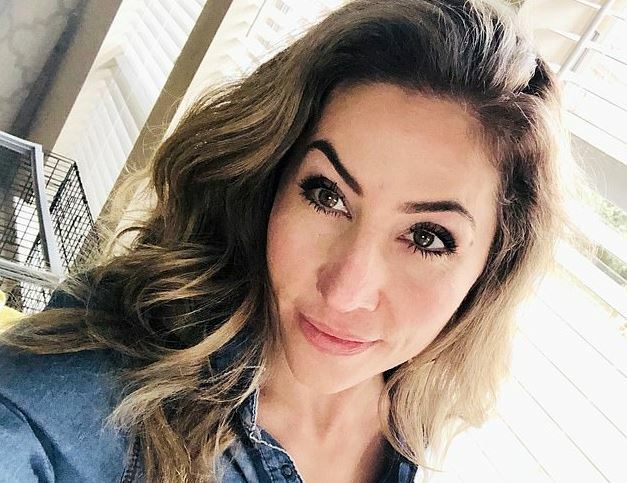 The 39-year-old is set to have her last treatment in May, and says the experience has completely changed her outlook on life. There’s been a drastic and incredible difference from that first day until now. I think the whole experience has been a life changer for me. I can hardly even put it into words. I didn’t know I could go through that disfiguring and deforming experience and come out the other side. While I was going through it I was angry at myself for being so impacted by my looks. I asked myself constantly ‘Am I vain?’ But of course it wasn’t. I was being very hard on myself. I think this experience opened me up to what others go through and made me more sensitive and compassionate towards to other people. It’s great that Adrianna no longer feels held back by the condition!